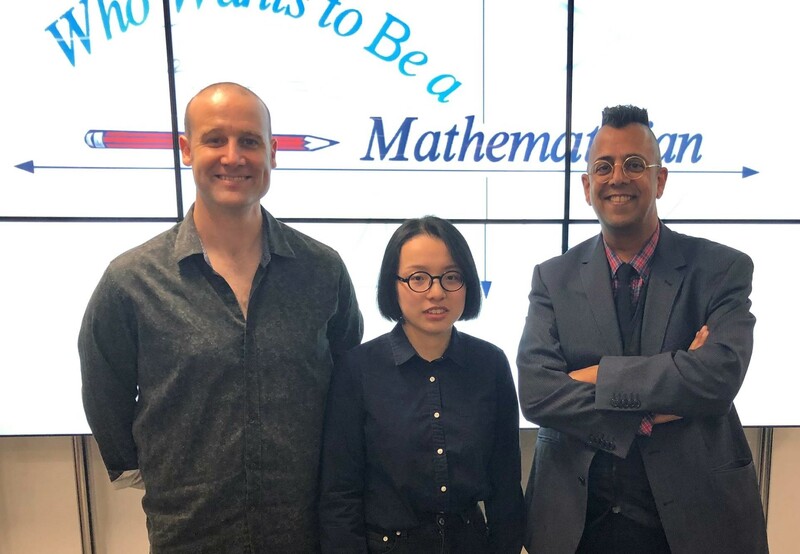 Our 2018/19 winner Olivia Guo, pictured with Matt Parker and Simon Singh. Olivia Guo from Shrewsbury Concord College in Shrewsbury was today crowned the 2018 UK winner of Who Wants to Be a Mathematician, our annual search for the country’s top young mathematical mind. Olivia competed in the final earlier today, alongside fellow finalists Paul Scarr from Whitley Bay High School in Newcastle, Zaka Ahmed from King Edward VI Aston School in Birmingham, and Jordan Baillie from St Maurice’s High School in Cumbernauld. 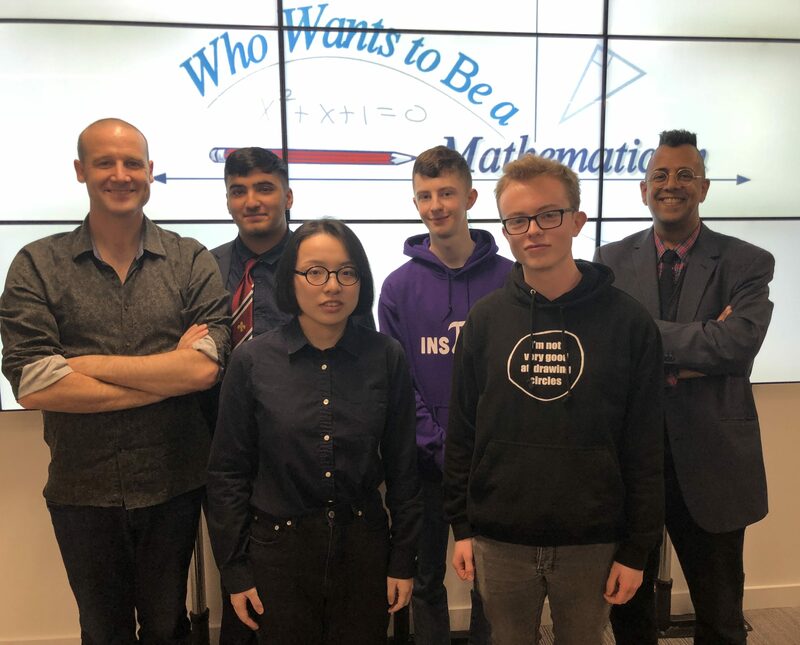 The four finalists out-scored almost 1500 other UK students to qualify for the UK final, which was hosted by stand-up mathematician Matt Parker, who is the author of Things to Make and Do in the Fourth Dimension. The final took place at Harris Westminster Sixth Form, London. 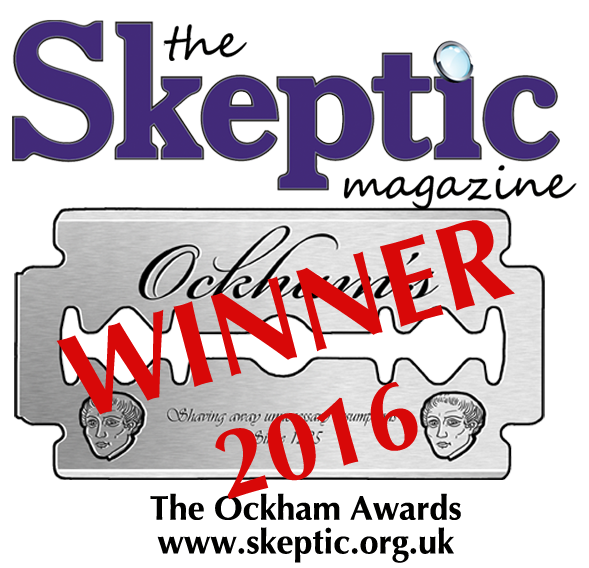 As UK champion, Olivia wins an all-expenses-paid trip to Baltimore, USA to compete in the Grand Final against finalists from the US and Canada, courtesy of the pro-science charity Good Thinking. There she has the chance to win the prize of $5,000 plus $5,000 for her school, Shrewsbury Concord College in Shrewsbury. 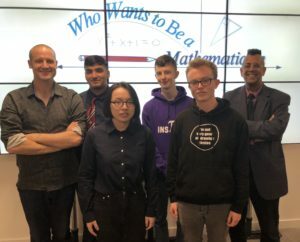 Simon Singh, chair of Good Thinking and author of Fermat’s Last Theorem, said: “We had more students than ever taking part this year, almost 1,500 keen young mathematicians. Well done to everyone who took part, and good luck to Olivia in the Grand Final in Baltimore. “The competition will be tough, but Olivia has shown herself to be quick and clever under pressure”. Good Thinking would like say a huge thanks to Mike Breen of the American Mathematical Society, who developed the competition and worked with us to run it in the UK. Finally, thanks to every pupil who took part, and every teacher who supported them. We are already working on ways to make next year’s competition even bigger and better.